The goal of this project is the integration of the communication tool "Slack" with different tools of team work that has the Open University of Catalonia (UOC). Practices tutor: person of an external company. Professor responsible for the subject. 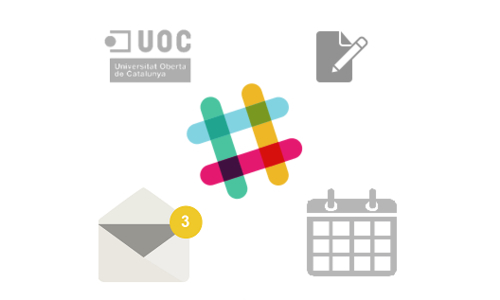 The project allows to share the calendar and documents (rubrics, tabs to do the evaluation, surveys to evaluate the project...) already available for university staff and the external tutor. InLab is in charge of investigating and developing the different modules so that this integration is possible.